I was first introduced to Each Mind a Kingdom: American Women, Sexual Purity, and the New Thought Movement, 1875-1920 by Beryl Satter by a fellow former-CS. Her copy was was full of margin notes and post-its, and the back cover had high praise from Gillian Gill, who wrote one of Ms. Eddy’s authorized biographies. Each Mind a Kingdom, firmly places Ms. Eddy in the historical context of the New Thought movement, as an undeniable student of Quimby, and inspiration for several prominent New Thought leaders (aka renegade students), one of whom, Emma Curtis Hopkins, went on to inspire a much larger group of prominent individuals in the New Thought movement. Satter touches on Ms. Eddy’s control of the Christian Science “brand” through copyright and church structure, verses the New Thought movement’s lack of organized framework, and popular teachers having their own followings/ideas. When you think of Christian Science, you think of Ms. Eddy, when you think of New Thought there are nearly a dozen big names who have influenced the movement over the years, each adding their own interpretations and ideas to the mix. Each Mind a Kingdom, is a dense read, heavy on the historical and sociological aspects of the New Thought movement. It also addresses the evolution of the New Thought ideas from Quimby, through his primary students: Dresser, Eddy and Evans, and their students, and so on, as they are modified, re-worked, and shared. Satter discusses the social and economic conditions in which these ideas began, and why they were popular with white, upper and middle class women. New Thought provided women a platform with which to make, among other things, social reforms, and economic opportunities through income from faith healing, lectures, pamphlets, and teaching. I highly recommend Each Mind a Kingdom for anyone who is interested in the origins of Ms. Eddy’s and New Thought ideas, as well as the broader context in which Ms. Eddy began her religion. This is one of several posts exploring the accusations of plagiarism leveled against Ms. Eddy, as well as what may have influenced the writing of Science & Health. This, and future posts dealing with this topic will be tagged MBEPlagerism. Update – these PDFs appear to have been removed from the website! “Others of his pupils lost themselves in Quimby’s philosophy, but Mrs. Glover lost Quimby in herself” (Dakin, 92). Eddy biographer, Gillian Gill devotes a number of pages to the issue of Ms. Eddy and P.P. Quimby, (2) taking a far more sympathetic stance on the subject than Dakin or Fraser. Gill systematically dissects any claims made by Quimby’s other students, mainly Julius and Horatio Dresser, poking holes in their claims, pointing out that they showed little interest in Quimby’s work after his passing until Ms. Eddy’s Christian Science started to gain popularity (Gill, 146). One of the more interesting comparisons of P.P. 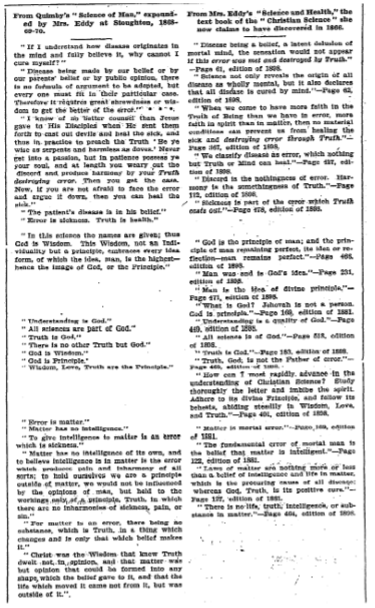 Quimby’s work with Ms. Eddy’s is in the July 10, 1904 New York Times, in a piece entitled True Origin of Christian Science (3). Gill dismisses the piece as “bad faith or bad scholarship” (Gill, 231-232). “Bad scholarship” aside, it makes for interesting reading. Putting aside the scholarship and origin story issues — unless we get a time machine it is unlikely those will ever be sorted out, let us look at what comprised the core of Quimby’s teachings. There are several websites (see Further Reading below) that talk about Quimby’s work, one of them thoughtfully shared the following condensed list of Quimby’s ideas. The omnipresent Wisdom, the warm, loving Father of us all, Creator of all the universe, whose works are good, whose substance is an invisible reality. The real man, whose life is eternal in the invisible kingdom of God, whose senses are spiritual and function independently of matter. The visible world, which Dr. Quimby once characterized as “the shadow of Wisdom’s amusements”; that is, nature is only the outward projection or manifestation of an inward activity far more real and enduring. Spiritual matter, or fine interpenetrating substance, directly responsive to thought and subconsciously embodying in the flesh the fears, beliefs, hopes, errors, and joys of the mind. Disease is due to false reasoning in regard to sensations, which man unwittingly develops by impressing wrong thoughts and mental pictures upon the subconscious spiritual matter. To know the truth about life is therefore the sovereign remedy for all ills. This truth Jesus came to declare. Jesus knew how he cured and Dr. Quimby, without taking any credit to himself as a discoverer, believed that he understood and practiced the same great truth or science. Ms. Eddy biographer Gillian Gill, while not a Christian Scientist, takes several opportunities to poke holes in the Quimby/Eddy inspiration story (5). Short of discovering time travel and witnessing these events for ourselves, it seems unlikely this mess will ever be unraveled, and P.P. Quimby and Ms. Eddy forever be remembered together. This is part of a series of posts on God’s Perfect Child: Living and Dying in the Christian Science Church by Caroline Fraser. For all posts on this topic, see the tag God’s Perfect Child. 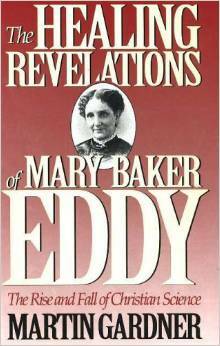 Divided into fifteen sections, Part 1 begins with an overview of the time period Ms. Eddy came of age in, then progresses through a brief biographical sketch covering her childhood, first marriage, child, second marriage, introduction to and falling out with P.P. Quimby, the fall on the ice in Lynn, early years and formation of Christian Science through the death of her third husband, Asa Gilbert Eddy in 1882 of mesmeric poison. In my two pages of notes on pages 23-79 that comprised Part 1 a few things stood out to me more than others, it is those I will focus on and share. While much of what was covered in Part 1 was not new (I’d read much of it in Dakin’s biography), Fraser’s perspective (and hindsight) allowed her to condense and highlight the main ideas from Ms. Eddy’s early years. The Fall in Lynn — when Ms. Eddy is said to have “discovered” Christian Science — is a lovely story, but Fraser reminds us that whatever the exact circumstances of the fall, given Mary’s predilection for “spells” and collapses, it is difficult to accept at face value her assertion that her accident was life-threatening. (GPC, 53) The homeopathic doctor attending Ms. Eddy agrees. In section 10 (pages 63-65), Fraser touches on the idea that Ms. Eddy was influenced by Emmerson’s Transcendentalism. While I was aware of Emmerson and Transcendentalism, I had not come across the Christian Science connection and hope to explore it further. On p. 75, Fraser makes it quite clear that Ms. Eddy is not a feminist. While some of my Sunday school teachers may have felt differently, I tend to agree with Fraser’s analysis of this. She may have been a woman who founded a church, but she also steadfastly refused to put women in positions of power on her Board, and undermined women who gained power in branch churches. Ms. Eddy’s reaction to Gilbert’s passing set up the Christian Science worldview that death is not a natural event. Death is the failure to assimilate the “truths” of Christian Science, and Christian Science deaths are regularly accompanied by the reactions of anger, defensiveness, and disassociation from the human emotions of grief and sorrow. (GPC, 79) Fraser calls the Christian Science response to death one of Ms. Eddy’s “most painful legacies” and I find I could not agree more. Part 2, is entitled “You Will Have to Learn to Love Me More”: Mrs. Eddy Builds Her Empire and spans nearly 100 pages (from p. 83-167) and 18 sections (and a postscript). The chapter starts in 1882 with the hiring of Calvin Frye as her secretary, concludes in 1910 with her death, and has a postscript which sums up Ms. Eddy’s Place in history, and the Christian Science movement. As it encompasses over 80 pages of concise ideas, I’ve chosen to cover the issues that continue to plague/exist in the church today (or at least they were issues of relevance five-plus years ago when I was still going to church). Ms. Eddy’s competition the Mind Quacks! I struggled with Chapter 2, section 12 Radical Reliance and Mrs. Eddy’s Teeth (128-132). This section left me seething with such rage I had to put the book down and walk around the block to clear my head. It deals with “Radical Reliance” which has become the bane of many a Christian Scientists existence. Ms. Eddy writes in Science and Health, “Only through radical reliance on Truth can scientific healing power be realized.” (S&H p. 167) In short, follow Ms. Eddy’s teachings, reject everything else. Putting the larger question of why was Ms. Eddy visiting a dentist anyway? aside (Ms. Eddy’s occasional concessions to “physical reality” clearly include toothaches), this “compromise” on dentistry has “come to haunt subsequent generations of Christian Scientists” (I’d say that’s a bit of an understatement) — the reasoning as to why deny medical treatment when dental treatment is allowed can be a tough one to wrap one’s head around. Fraser goes on to list a few more (occasional) concessions — child birth, the adjustment of broken bones, the “temporary means” (mechanical aids — crutches, eye glasses, hearing aids — things outside the body), and “hypodermic injection” (perhaps acknowledging her own pain and need for morphine injections). (GPC 130-131). Of course a diagnosis should be avoided, and one should never talk of disease — that gives it power, and while surgery is listed with setting of bones, very few Christian Scientists avail themselves of surgical procedures (oral surgery not withstanding, because that’s dental work, which is different somehow). This was a section with so many little stars in the margins I could not possibly begin to cover everything. This section, and the Radical Reliance portion of this chapter are really must-reads for those interested in, or transitioning out of Christian Science. Fraser manages to explain both Science and Health and provide a basic summary of Christian Science theology/ideology in an approachable manner. 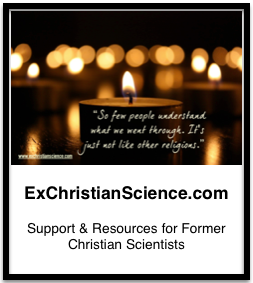 I will touch on a few of the key points — some of these may be all too familiar to former Christian Scientists, and entirely foreign concepts to outsiders. I am fairly certain that had Ms. Eddy lived longer there would’ve been more editions of Science and Health. In fact, there are more editions (21st Century Science & Health with Key to the Scriptures by Cheryl Petersen, and A Woman’s Book of Healing: An Adaptation of Science and Health With Key to the Scriptures by Mary Baker Eddy by Carolyn Gage), but none are authorized by The Mother Church. Even at over 1400 words, I have touched on less than 1/3 of the content of Chapter 2, parts of it – particularly the section on Radical Reliance – were difficult to read, while others left me nodding in agreement. My list of topics to explore further has grown, as has my desire to share God’s Perfect Child (or at least sections of it) with anyone who has questions about Christian Science. he is mentioned in an interview with the Rev. Wiggian, and each time I am left with the feeling that I should know who Emanuel Swendenborg is. So who is Emanuel Swendenborg? 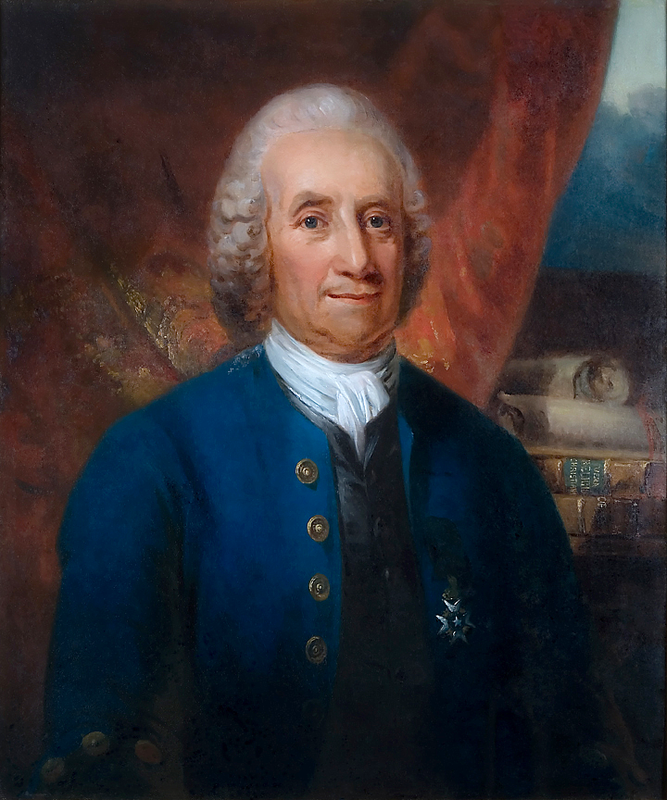 Wikipedia tells us Emmanuel Swendenborg was a Swedish scientist, philosopher, theologian, revelator, and mystic best known for his book Heaven and its Wonders and Hell From Things Heard and Seen (Latin name De Caelo et Ejus Mirabilibus et de inferno, ex Auditis et Visis) published in 1758. With such an impressive list, it seems likely that Swendenborg was in the public conscious during Ms. Eddy’s time, and that the contemporary sources I found would be aware of Swendenborg’s work, as would have their educated middle class audience — Christian Science’s primary demographic. 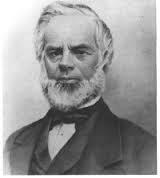 In my search for information about Ms. Eddy and Swendenborg, I came across an article by Henry M. Craig, M.D. in The New York Times dated August 18, 1907 (2). In addition to offering an interesting analysis of their respective works, it also offers a side-by-side comparison of Swendenborg/Eddy. Whitehead goes on to compare teachings on Disease (p. 226-229), Medicine (p. 229-231), The Law of Healing (p. 231-236), Miracles (p. 236-238), and Claims (p. 238) which leads to several pages (239-241) of side-by-side passages comparing Swendenborg and Eddy’s work. Mrs Eddy earnestly opposes the use of material remedies. To use them is a violation of Christian Science principles. She does indeed acknowledge that drugs have been received in her house but only for the purpose of killing vermin. Her position is that disease is a wrong belief and its true remedy is to destroy that belief. Swedenborg while teaching that the origin of disease is mental at the same time shows that it has its seat as a disease in the physical nature It must therefore be treated from both the spiritual and material planes. The spiritual cause would not manifest itself as disease in the corresponding material plane if the body by acts did not bring down the spiritual disorder into the physical nature … When the disease has gained a lodgment in the body it must be treated on its own plane. 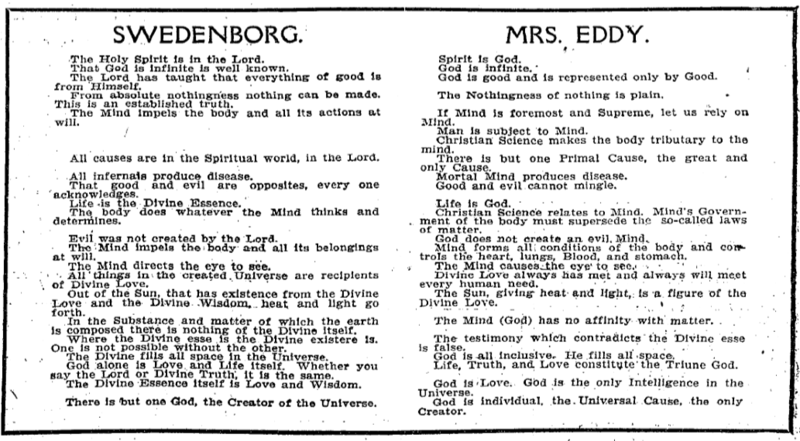 The Swendenborg Foundation is not the only one to note these similarities, the What is happening blog which is “Blogging the beginning of Chicago’s Christian Science fellowship” has a post dated March 27, 2010 entitled What do Mary Baker Eddy and Emanuel Swedenborg have in common? (5) as part of an Interfaith meeting. This is one case where reading comments on the internet is not only okay, I acutally encourage it. .. the founders of these two Christian denominations – Emanuel Swedenborg and Mary Baker Eddy – have more in common than that. They both experienced profoundly spiritual awakenings and began writing books about their spiritual insights. They both interpret the Bible from deeply spiritual perspectives and consider their teachings to be divinely inspired. God is infinitely loving and at the center of every life. Truth is love in action. Actions performed out of love are genuine expressions in a physical form of what love means. There is one God whose essence is Divine Love and Wisdom. Father, Son, and Holy Spirit are all aspects of God just as body, mind, and soul are all aspects of one person. The Bible is the inspired Word of God that provides inspiration and help to lead better and more fulfilling lives. The literal sense of Scripture tells the story of the people of God, and contains a deeper meaning that illumines the journey of the human soul. People are essentially spirits clothed with material bodies. At death, the material body is laid aside and the person continues to live on in the world of spirit choosing a heavenly life or a hellish one, based on the quality of life choices made here. God gives everyone the freedom to choose their beliefs and live their lives accordingly. Salvation is available for people of all religions. The Second Coming has taken place—and in fact still is taking place. It is not an actual physical appearance of the Lord, but rather his return in spirit and truth that is being effected as a present reality. The parallels with Christian Science are undeniable, however I find myself agreeing more with Whitehead (and Wiggins) analysis of the final product. There are several translations of Heaven and Hell available (as well as Swedenborg‘s other works), it is on my to-read list. As with Part 1, Dakin beings Part 2 with a Plutarch quote. While Plutarch is referring to Eratosthenes, a Greek mathematician, geographer, poet, astronomer, and music theorist (1), Dakin is talking about Ms. Glover — she divorced Dr. Patterson, and reverted back to her previous married name. I’m not sure the comparison is fair to Eratosthenes, but as with Dakin’s previous comparison to Minerva, I’m not sure if he is serious, sarcastic, or simply alluding to ancient Greece to flatter the intellect of early 20th century readers — perhaps it is all three. In some ways, the Plutarch quote is quite fitting: Mrs. Glover was able to “instill into [her students] some sort of burning ardor they never felt either before or after” their contact with her (Dakin, 92). Mrs. Glover taught about Quimbyism and his methods of spiritual healing, the more she expanded and adapted them for herself. Dakin, quoting Milmine nearly sums up this transformation: “Others of his pupils lost themselves in Quimby’s philosophy, but Mrs. Glover lost Quimby in herself” (Dakin, 92). She continues with these interesting logical arguments, expounding on them. Dakin asserts she has liberally borrowed from older philosophers, including Spinoza, Liebnitz and Berkeley (3). ** Swendenborg, is credited as a prime source of inspiration in the theological department. Mrs. Glover’s re-writing of both philosophy and theology set Malicious Animal Magnetism (MAM) into the world. Dakin dismisses MAM as “the evil eye” but to Mrs. Glover-soon-to-be-Eddy it was so much more. In Mrs. Glover/Eddy’s mind, Malicious Animal Magnetism** was the cause of her continuing health crises, she had enemies working against her, sending ill health and legal obstacles her way. Dakin goes on to carefully document Mrs. Eddy’s practice slowly deteriorate in Lynn, Ma. This decline is depressing at best, and if it were not only 1/3 of the way through the book it might offer a glimmer of hope (to the uninitiated) that Mrs. Eddy’s madness would end there. The following is a short story by Joseph Woodbury III, initially left as a comment on the biography of a Virginal Mind, shared again here with the embedded hyperlinks that failed to show up in the original comment. June 4, 1882: Gilbert lay dying on his bed. His wife Mary sat by the bedside looking anxiously at the clock . The previous day Gilbert had been quite well and engaged in the many secretarial and practical duties of the household that Mary routinely entrusted him with, but that evening after supper he began to feel dreadfully ill.
His breathing became gradually more laboured as he started to speak in a weak, faltering voice and Mary looked at him blankly. Mary’s expression remained blank as she impatiently regarded the clock again. 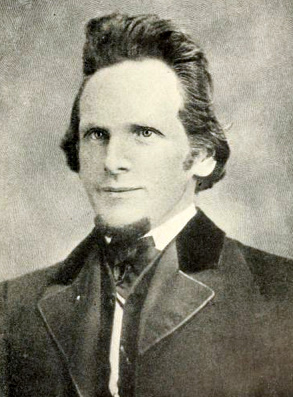 Image via http://commons.wikimedia.org/wiki/File:Asa_Gilbert_Eddy.jpg, interestingly there are no photographs of Ms. Eddy with her third husband (or any of her husbands).